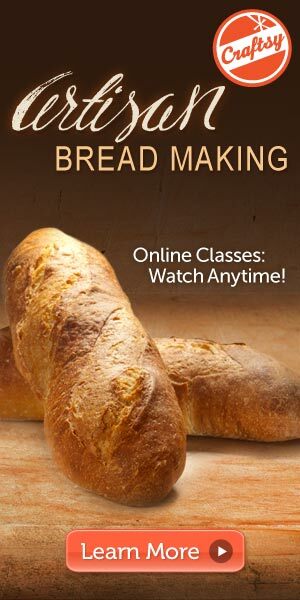 So I watached Lesson 2 of my Craftsy's Artisan Breadmaking Class (affiliate link). We don't start actually preparing dough until the next lesson, but I've already learned a few things. 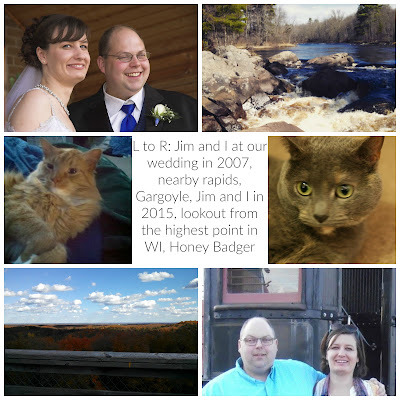 First here are some observations. I really like Craftsy video set up. There's written lesson materials you can refer to while you watch the video if you like. You can also make your own notes at any point in the video so you can refer back. Plus, if there's something you have a question about, you can post your question and other students or the instructor will answer. I really like Peter Reinhart as a teacher. He explains stuff, and goes into detail, but you never feel overwhelmed. I feel like he really wants you to succeed and make awesome breads and he's happy to help you out if you have any questions. Baking bread is more a science than a craft. I mean, there's elements you can change up to put your own custom print on your bread, but there are still rules you have to follow if you want your bread to turn out. Yeast dies at 140 degrees. I knew it died at a certain temp, but didn't realize it was so low. The other day I made calzones and preheated my oven to 170 degrees, shut it off, and waited a few minutes to pop my bread dough in the warm oven to preheat. Hmm, maybe that's why it didn't want to rise- my oven was too hot and I killed the yeast. Temperature is very important to making good dough. I actually bought a thermometer today so I can monitor this better. The 240 Factor: This is a formula that tells you how hot your liquid needs to be to make your dough a success. You factor the temp of your room, the temp of your flour, and the friction factor. Add these three numbers together and subtract the total from 240 and that's what temp your liquid needs to be heated to. So say, your room is 72 degrees, your flour is the same temp as your room- 72 degrees, and you friction factor is 30. So add 72+72+30=174. 240-174=66. So, your liquid should be 66 degrees. I had never heard of the 240 Factor, but googling it came up with lots of results. Some recipes will tell you what your temp needs to be, but if it doesn't you can easily figure out what temp you should be going for. I'm pretty excited to be starting dough making next week. Check it out, if you're interested in learning about making bread.